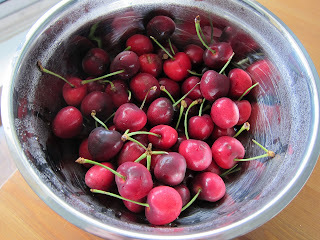 I managed to finish up a few more Swoon quilt blocks last night while snacking on these. 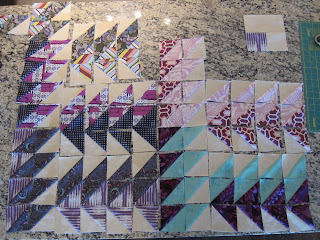 I've been sewing my Swoon blocks production line style in batches. My trusty kitchen counter was a huge help. 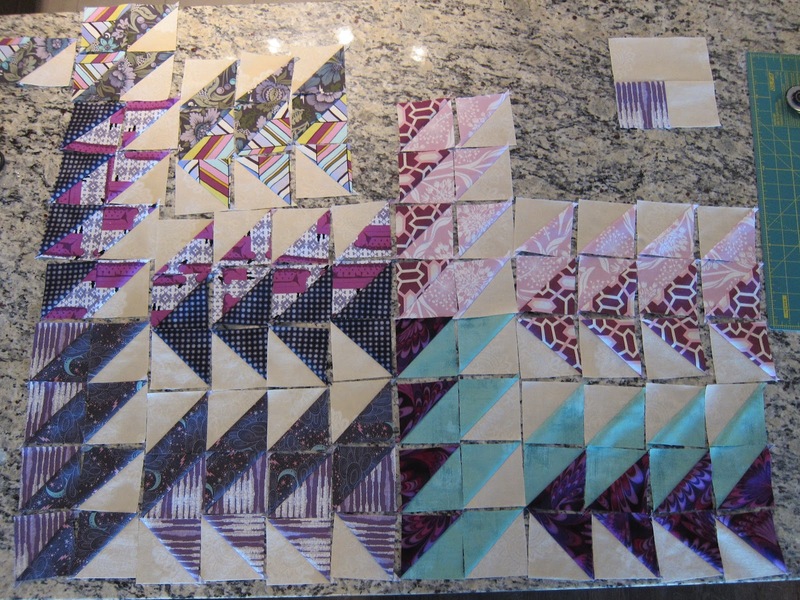 Here are five blocks worth of half square triangles ready for action. 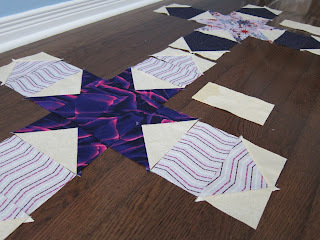 And the designated Swoon block assembly area in the spare bedroom (with a little preview of blocks to come). 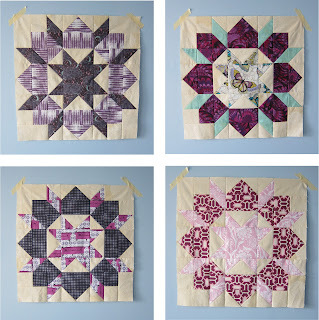 If you're thinking of making this quilt, I would strongly recommend that you make all of your individual pieces, organize them into blocks, lay them all out in block form and then just start chain piecing until you can't stand it anymore. 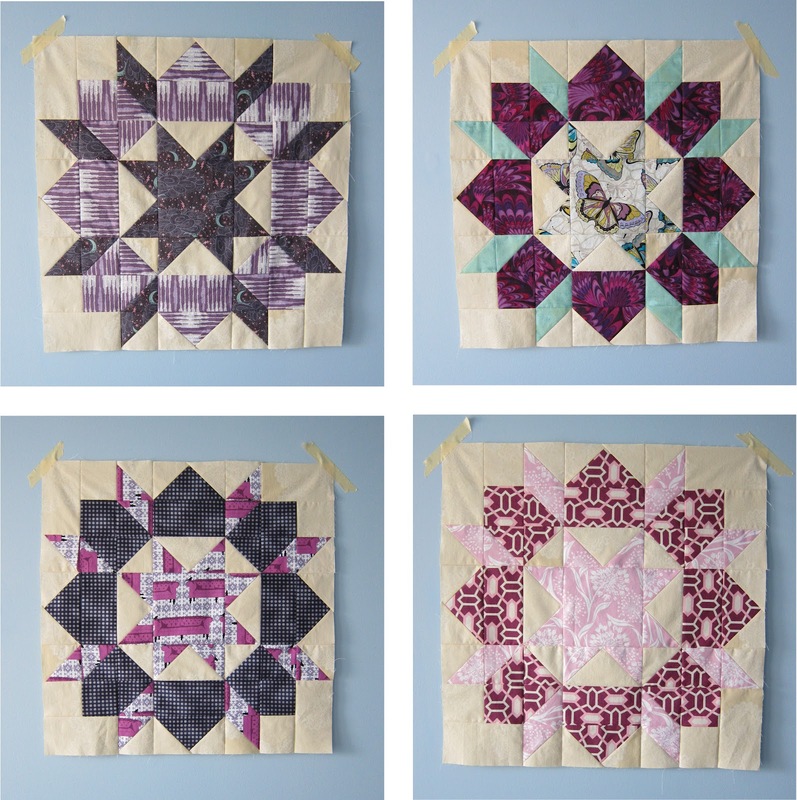 I would also suggest that you substitute the flying geese construction method set out in the pattern instructions with the one found here. You'll have to modify the cutting instructions a bit but it saves time and oodles of fabric. Without further ado, I give you blocks 2, 3, 4, and 5. Individual photos of the blocks can be found on our flickr stream. I decided to add a little shot of green in Block 4 to emphasize the soft green in my colour scheme. I was also worried that the butterfly fabric would blend in with my background fabric. I'm glad I did. I think it really makes the block pop. Now only 4 more to go!